Could the iPhone 7 Plus kill DSLR cameras? 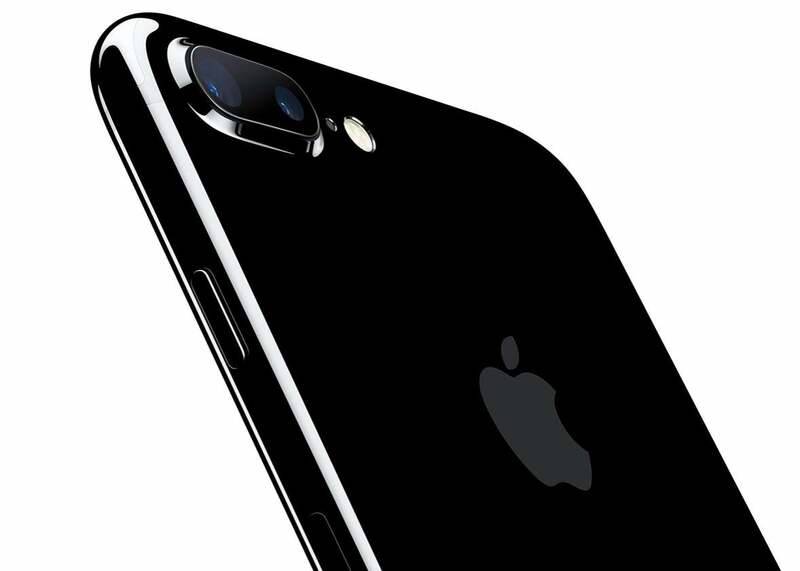 Tech pundits think the iPhone 7 Plus could kill off high-end DSLRs. Are they right? Sometimes when Apple unveils a new product, an entire device category dies. The iPod struck the deathblow against CD players. The iPhone buried the dumbphone. And the iPhone 7 might have its own victim list, starting with headphone jacks and the analog headphones that connect through them. Could it include high-end cameras, too? Apple is potentially announcing the death of the DSLR right now. Or in a phone generation. So, not trivial. Why the pre-emptive eulogizing? Chiefly, there’s the fact that the iPhone 7 Plus will come with two lenses—a 28mm wide-angle and a 56mm telephoto with 2x optical zoom —allowing users to capture a larger variety of shots at different distances. Then there’s the f1.8 aperture on the 28mm, which improves the camera’s ability to take photos in low light. There’s the new ability to capture DNG RAW photos, which contain far more information than JPEGs and can therefore be more effectively edited. Wide color capture, optical image stabilization, and a handful of other features are also netting praise as great improvements. The iPhone, in earlier iterations, contributed to the decimation of the market for digital point-and-shoot cameras. With a new round of software and hardware upgrades that could make images look nearly top-of-the-line, tech writers have started wondering whether the iPhone 7 Plus could trigger a similar decline in the cheaper end of the market for DSLRs—that is, cameras with interchangeable lenses and professional controls that start around $499. The answer, according to handful of analysts I spoke with, is no. At least, not exactly. For one thing, the entry-level DSLR market has already been in a death spiral for a couple of years as a result of advances in mobile camera technology, according to Christopher Chute, a vice president with the International Data Corp.’s customer insights and analysis group. “About two-thirds of the DSLR market used to be consumer models priced about $600 or $700 dollars and sold around the holidays. That’s gone away because all those buyers are using phones or they’ve relocated their spending to other consumer electronic categories,” he said. New York–based professional photographer Robert Herman told me that when he first started seriously photographing with an iPhone 3S in 2009—mostly because he liked shooting in a square format and the “photorealist painting from the ’70s effect” the early camera naturally produced—he said his peers thought his pursuit was “a joke.” Last year, he published The Phone Book, comprising photos taken with an iPhone 3S, 4S, and 5S. Over the years, he said, he felt he was compromising quality to some extent, largely because he couldn’t shoot in RAW, but the pros of the iPhone outweighed the cons. Today, Herman said, he uses his iPhone for about half of his work and a Nikon DSLR for the other half. He’s excited about the iPhone 7 Plus and plans to get one eventually. While having the new iPhone would make him want to use his phone for photography even more, he said he’ll always need a DSLR for some professional occasions. “The DSLR is here to stay,” he said. 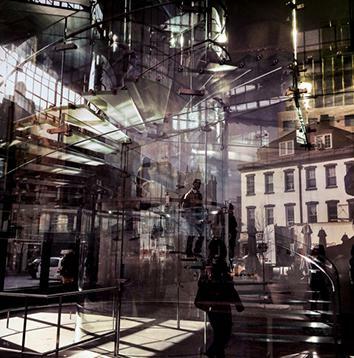 “The Apple Store, New York, NY, USA” (2014). Veteran photojournalist Brooks Kraft tested an iPhone 7 Plus in advance of its release, and he told Fast Company’s Mark Sullivan that while the camera is “the biggest improvement in recent generations,” he was not overly impressed by the camera’s new 10x zoom. “Once you go beyond the 2x offered optically with the new lens, image quality deteriorates,” he said. In future iPhone releases, he said, he’d like to see manual control settings for aperture and shutter speed and better image resolution. Photographers like Herman and Sullivan will keep the DSLR market alive, even if that market is mostly limited to professional-level cameras, Chute said. “There’s a stable demand centered on the enthusiast market, the die-hard photographers. By and large, if you’re a real photography enthusiast, you’ll probably use different types of cameras, as opposed to one versus the other,” he said. While Kosuke Kawaura, Nikon’s director of marketing and planning, assured me in an email that “no cell phone can match what is possible with a DSLR,” his response to the iPhone 7 Plus emphasized the longevity of the DSLR’s appeal for serious photography enthusiasts and professionals rather than for amateurs. He pointed to the DSLR’s superior color, sharpness, and low-light performance as reasons why “professional photographers continue to rely on Nikon to help them capture the most important images.” Kaz Eguchi, president of Ricoh Imaging Americas, meanwhile, told me via email that he believes there will “always be a place for DSLRs like our award-winning PENTAX K-1 with advanced features and settings that give pros and serious amateur photographers maximum control over their images.” But qualifying those amateurs as “serious” is ceding a lot of ground. Mobile photography isn’t going to destroy the camera industry, Chute said, but it is certainly going to keep transforming and shrinking it. If anything, he said, it is starting to look like the relatively niche business it was back in the days before everyone started carrying a camera in their pocket. “It’s become more of a cottage industry, which is how it was in its film days. In many ways, the pro photography space has come full circle back, to what it was 20 years ago,” Chute said. Thanks, iPhone.